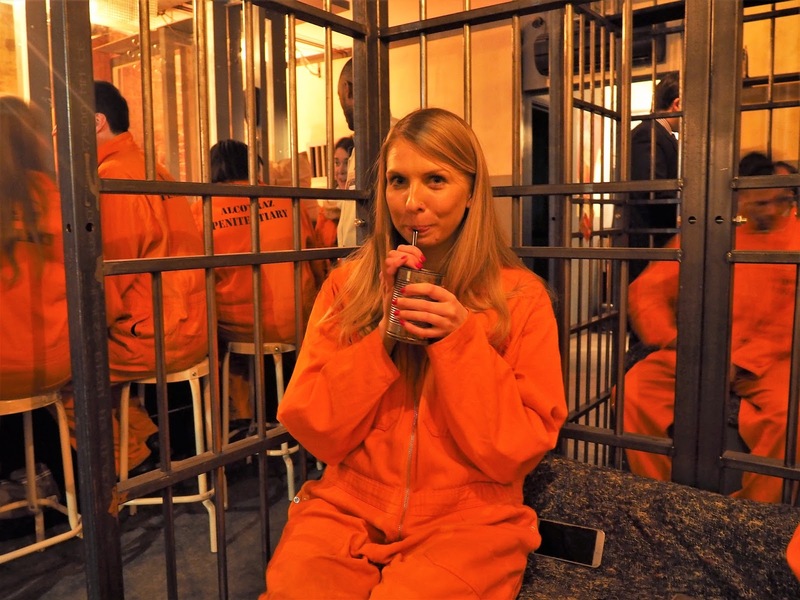 When I was told I was going for cocktails in a "prison", more specifically one where I had to smuggle in my own alcohol, I didn't quite know what to expect. 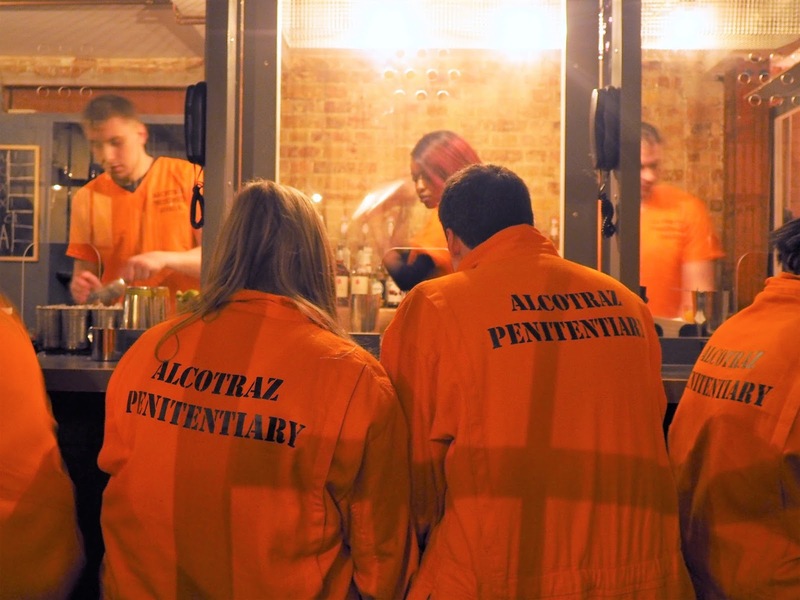 Named after the notorious Alcatraz prison in the US, Alcotraz (see the pun?!) 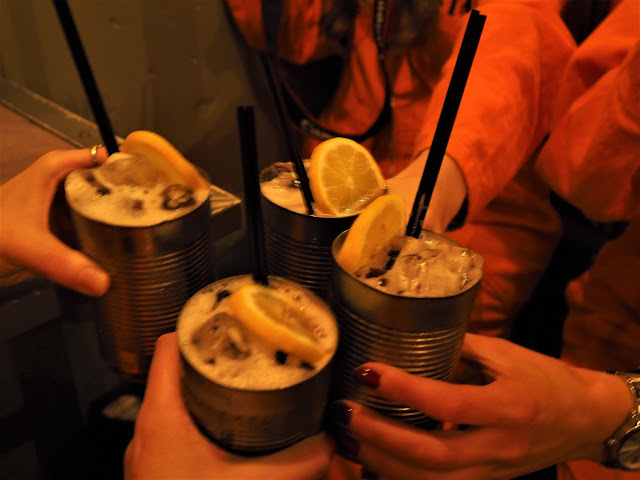 originally started in London's Brick Lane as a pop-up immersive bar experience, but is now here to stay following its popularity. 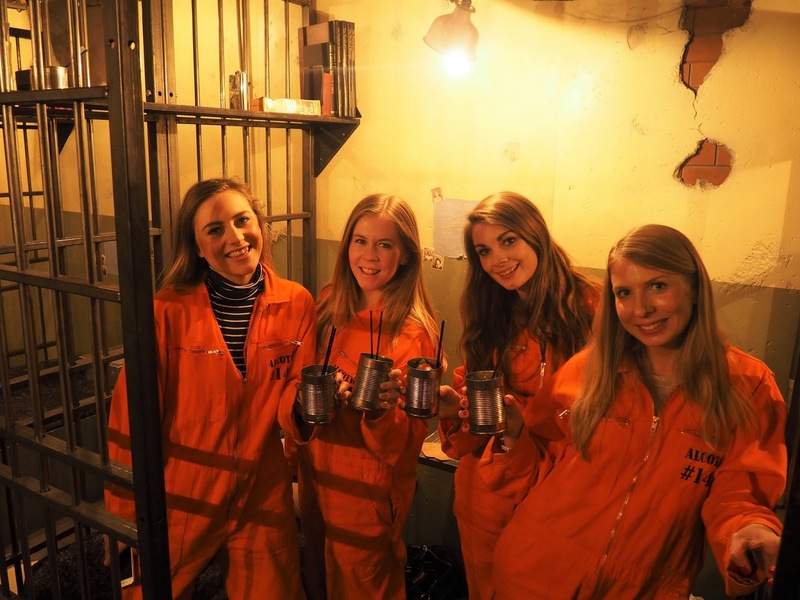 Alcotraz is London's first immersive theatrical cocktail bar. Before arrival all I knew was that we would be spending the night behind bars in a prison cell and had to smuggle in our own alcohol without getting it past "the warden". 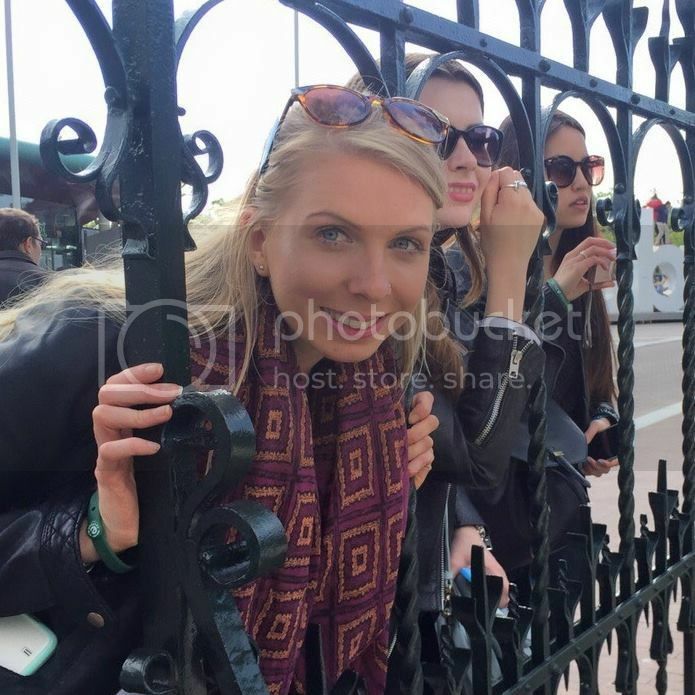 I went along with fellow bloggers Emily, Annabelle and Eppie. So how did we get on? From the moment you arrive the experience begins and it's like you really are being thrown into prison. The guards immediately give you your jumpsuits and shout at you to put them on. 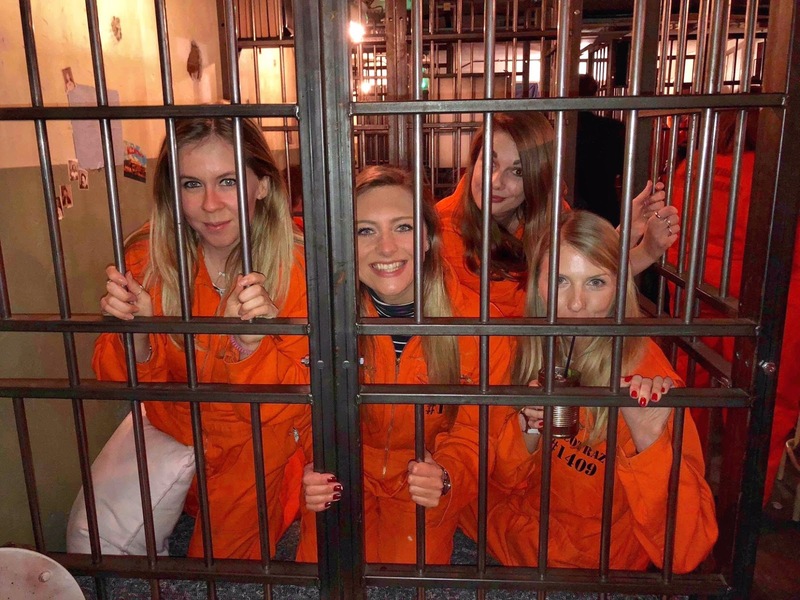 Queue laughter and giggle in our group as we struggled to get them over our clothes - which didn't go down well. Alcotraz is BYOB, although there are signs everywhere stating it is strictly no alcohol and the warden doesn't permit contra-band. Don't fret though, in the words of the guard "You scratch my back, I'll scratch yours", and if you befriend him they give you a helping hand to sneak in your booze. 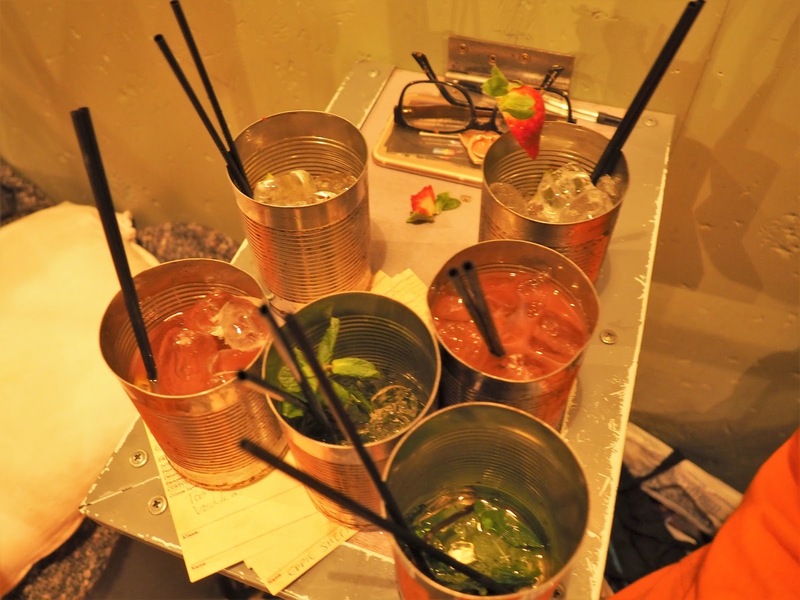 Once you're in your cell guards will them come around to collect your spirits off you and make you cocktails of your choice, served in tin cans. This doesn't mean you get back to sit back and relax with your drinks though. In the two hours we spent in our cells the groups were subject to cell searches and a lot of intense questioning - with Annabelle even ending up in solitary confinement! Just remember not to let on you have alcohol and everything will be fine! Alcotraz is certainly a fun experience and I don't think we stopped laughing the whole time we were there. 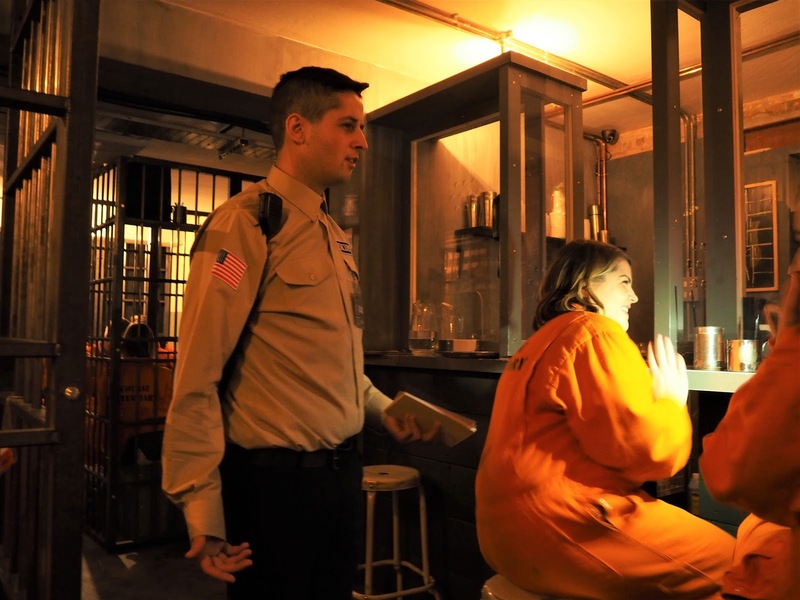 Every little detail from the prisoner guards and fingerprinting you have to fill in, the orange jumpsuits and the small cells gives the environment of a real prison and the guys who play the roles of the warden and guards are amazing. 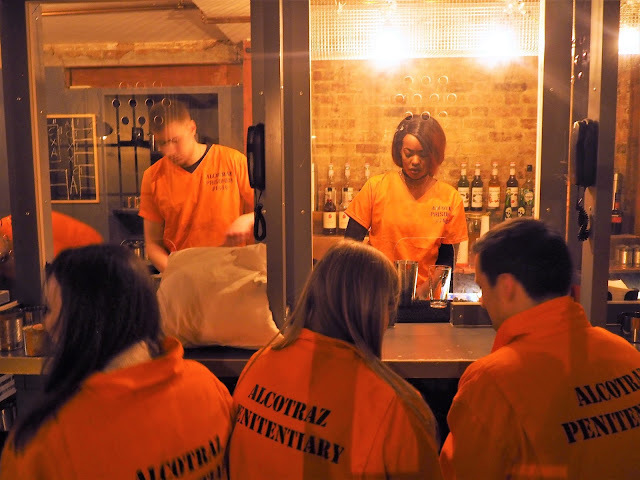 On to the cost... Alcotraz costs £33.99 per person, which is a little on the pricey side given that you have to bring your own alcohol too, but for a special occasion or group event it is definitely worth a visit and we made full use of our time there. In the two-hour slot we were allocated I think we had around four cocktails each.